Bentley unveils a new flagship model at the Paris Motor Show, positioned at the very pinnacle of automotive luxury and performance. The new Mulsanne Speed is the fastest ultra-luxury driving experience in the world. powerful four-door sedan - the Flying Spur - and two dynamic Grand Tourers, the Continental GT V8 S and the GT Speed. 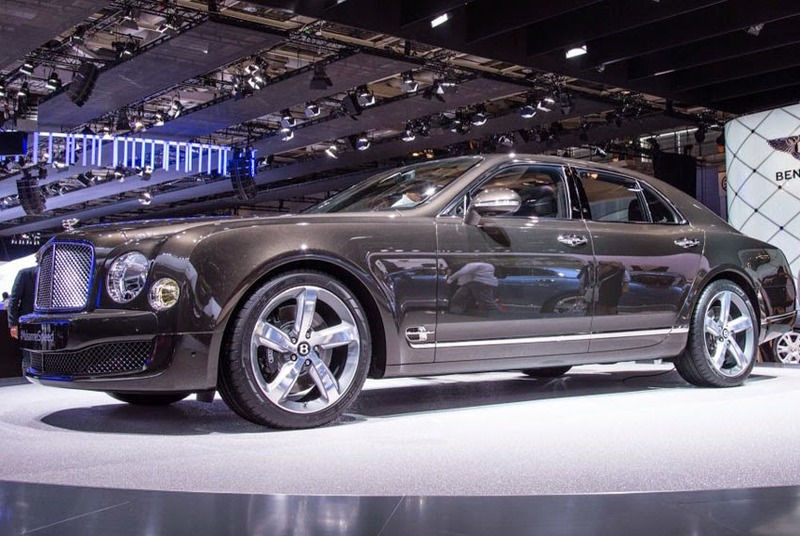 Completing Bentley's presence in Paris is the signature Mulsanne model, also enhanced for 2015. "We listen carefully to the needs and preferences of our customers and it is this approach that has made Bentley the most sought after luxury car brand in the world. We are the choice of many high achievers, independent thinkers, world leaders and Royal Families around the world," said Wolfgang Durheimer, Chairman & CEO, Bentley Motors. The Mulsanne Speed is tailored for the driver, with 537 ps (530 bhp/395 kW), 1,100 Nm (811 lb ft) and selectable sports suspension and steering on demand. The reengineered powertrain, featuring Bentley's mighty 6¾-litre twin-turbo V8, propels the Mulsanne Speed to 60 mph in 4.8 seconds (0 100 km/h in 4.9 seconds) and on to a top speed of 190 mph (305 km/h). In modern Bentley tradition, the extra performance is matched by markedly improved efficiency; a 13 per cent gain means a range extended by 50 miles (80 km). New and contemporary styling features define the Mulsanne Speed as a statement in quintessential British luxury. Dark tint accents to exterior detailing hint to the Speed's powerful character, while on-board technology and connectivity are discreetly integrated beneath the finest materials, created with unrivalled craftsmanship and exquisite handcrafted details.